A couple of years ago, I started posting my first completed novel on WP, but I was also writing a blog about social media for small nonprofits over on Blogger (Social Media Birdbrain). Between that and my late husband’s illness, I let my WP blog about fiction writing languish until I finally disabled it. Things have changed. I’ve found a renewed enjoyment in writing and art and thanks to #litchat, #scifichat, and #ufchat on Twitter, a new community of writers to share with. A short story – The Face on the Coin – will be published next year in a vampire anthology and I’m working on another short story for an urban fantasy anthology, also expected to publish in 2012. 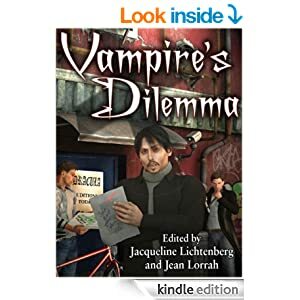 The vampire story is not the usual; it features no pointy-toothed, sparkly (or otherwise) men and its heroes are a ghost and his half Japanese, half Welsh partner in an alternate 1950s Los Angeles. Though I’m not sure where my writing will take me, I’m currently drawn to noir urban fantasy. I have several other loves in the art world and ‘real’ world and this blog will probably touch on all of them. My hope is to create a space where we can talk about writing, its joys and struggles and where we are on our journeys.